The Beast from the East has created plenty of snow around the UK. Paper snowflakes are in mind, especially these sciency snowflakes featuring three Nobel physicists, courtesy of Symmetry Magazine, an online magazine about particle physics. 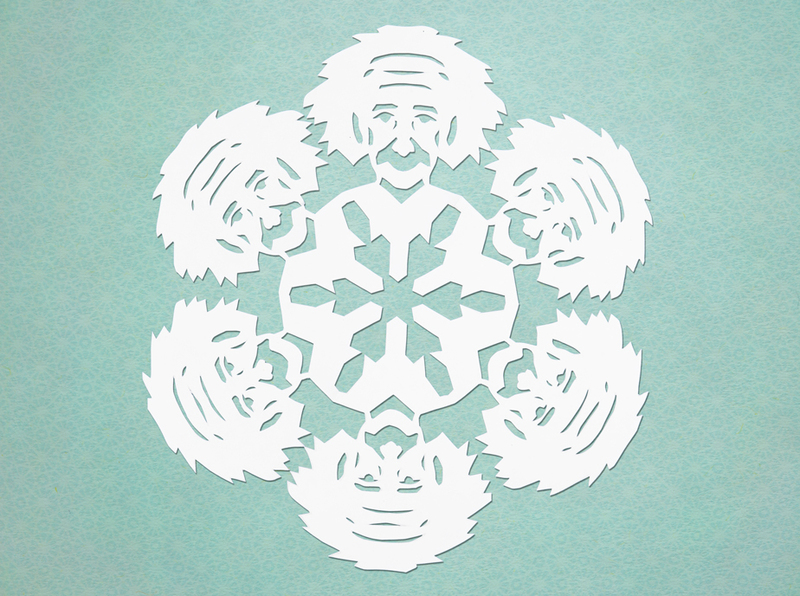 Templates to cut these awesome sciency snowflakes are available here.